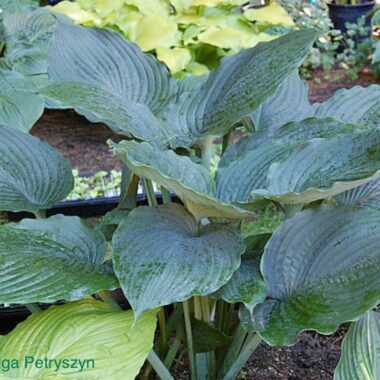 Large: Forms a huge, vase-shaped mound (30″ x 72″ ) wide of thick rounded leaves 14 long x 11 wide that change from bluish-green in spring to dark green by July. 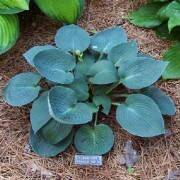 Topped with lavender flowers on 48” scapes in July. 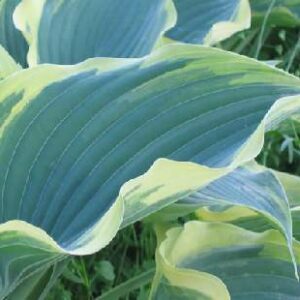 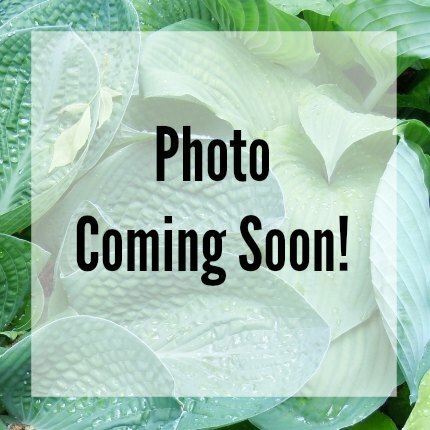 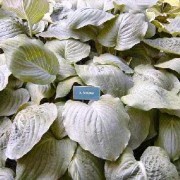 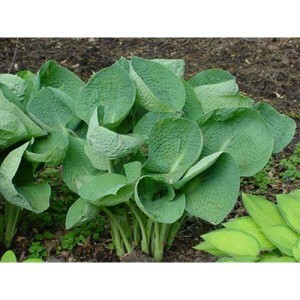 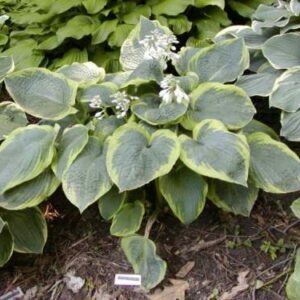 Allegan Emperor’ Hosta forms a huge, vase-shaped mound of foliage that changes from bluish green in spring to a shiny, dark green by July; great choice as a background or specimen plant. 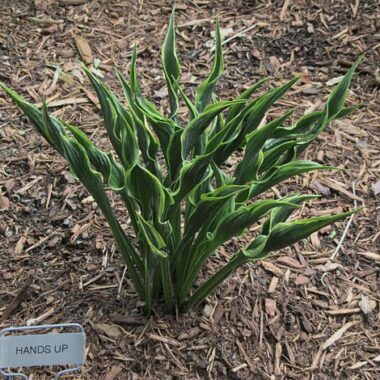 Flowers are lavender, striped and tubular in shape. 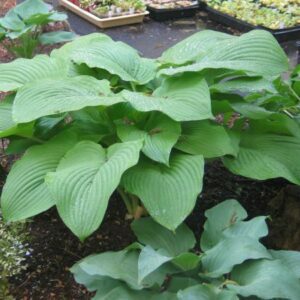 Bloom time is June/July.